We’re Coming for You, Peach Co.! | We’re Coming for You, Peach Co.! The Lighthouse vision team will be in Byron, Ga., on Wednesday, Nov. 7, for our next Georgia Baptist Health Care Ministry Foundation-sponsored clinic. 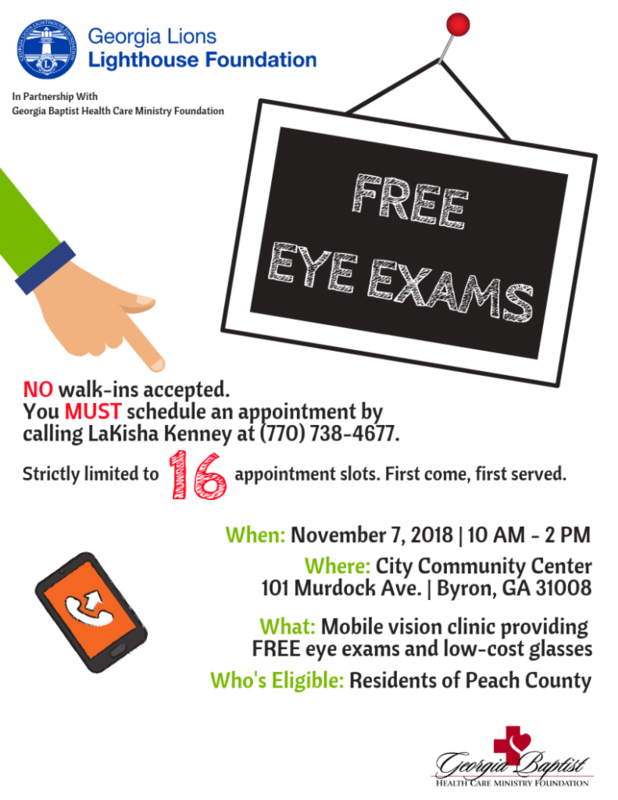 Are you in or near Peach County? Need an eye exam? Check out the flyer! We’ll be at the City Community Center at 101 Murdock Ave. in Byron on 11/7 and are looking forward to serving Peach County!! ← See You in Hancock County!